Enter your measurements and build a list. You can leave this page and any prices you've worked out will still be here. iWood is a wholesale timber merchant and because our timber is imported to order we have a minimum order amount of £200 ex VAT (£240 inc VAT). Min. order £240 inc Min. order £200 ex Min. order €750 Minimum order amount reached! Do you have a question about this cutting list? This grade is suitable for use in landscaping. It is not suitable for construction. Fresh sawn oak weighs approx. 1,200kg / m3. 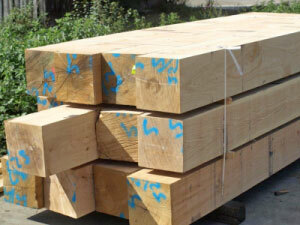 iWood regularly ships in a supply of fresh sawn oak beams direct from sawmills on the continent. The volume we buy in allows us to keep our prices low. Each beam you order is cut to your required size, so you can build up a list of the sizes you need above, order them, and iWood brings them in straight from the sawmill as you require them. There are three grades available. QPA and QP1 are both structurally sounds and suitable for construction, with QPA being the higher grade and having fewer knots. Sleeper / Fencing grade is ideal for landscaping and fence posts. 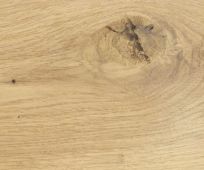 Oak is a common choice for projects where the timber is in contact with moisture because of its durability. Fresh sawn, or 'green' beams simply means they have not been air or kiln dried. 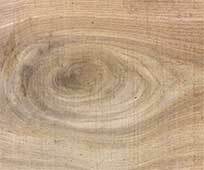 As the timber dries out, it will shrink by a few percent in the width and thickness cross section, but not in the length. This has the effect of pulling oak frames tighter, making them stronger. You have the option to buy them Sawn or Planed. Planed beams are smooth and flat. We take a slightly larger beam and plane it down to your required size. 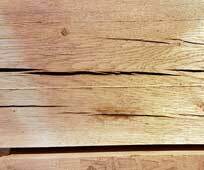 Sawn beams have a slightly rougher finish. On this page you can order beams up to 300 x 300mm, and up to 7.9m in QPA grade and up to 10m in QP1 grade. If you have any questions about our oak beams please call our sales team on 01889 597 281. The current lead time for beams is approximately 14 - 17 working days. When planning to collect your beam order, it's important to remember that fresh sawn oak beams weigh approximately 1,236kg per cubic metre. This means that a 200mm x 200mm x 4m fresh sawn beam, with a volume of 0.16 cubic metres, weighs almost 200kg on its own (about 440 lbs, or over 30 stone). While we can help load your vehicle with our forklifts, your vehicle needs to be able to carry the weight (and lengths) that you're ordering. You also need to think about how you're going to unload when you get back. After placing your order securely online you receive an email confirming the items you have ordered. When your order has arrived at iWood HQ and is ready for collection, we will give you a call.